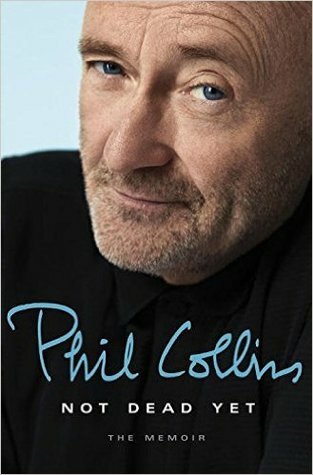 From Goodreads ~ Phil Collins pulls no punches - about himself, his life, or the ecstasy and heartbreak that’s inspired his music. In his much-awaited memoir, "Not Dead Yet", he tells the story of his epic career, with an auspicious debut at age 11 in a crowd shot from the Beatles’ legendary film "A Hard Day’s Night". A drummer since almost before he could walk, Collins received on the job training in the seedy, thrilling bars and clubs of 1960s swinging London before finally landing the drum seat in Genesis. Soon, he would step into the spotlight on vocals after the departure of Peter Gabriel and begin to stockpile the songs that would rocket him to international fame with the release of "Face Value" and "In the Air Tonight". Whether he’s recalling jamming with Eric Clapton and Robert Plant, pulling together a big band fronted by Tony Bennett, or writing the music for Disney’s smash-hit animated "Tarzan", Collins’s storytelling chops never waver. And, of course, he answers the pressing question on everyone’s mind: just what does "Sussudio" mean? "Not Dead Yet" is Phil Collins’s candid, witty, unvarnished story of the songs and shows, the hits and pans, his marriages and divorces, the ascents to the top of the charts and into the tabloid headlines. As one of only three musicians to sell 100 million records both in a group and as a solo artist, Collins breathes rare air but has never lost his touch at crafting songs from the heart that touch listeners around the globe. That same touch is on magnificent display here, especially as he unfolds his harrowing descent into darkness after his “official” retirement in 2007, and the profound, enduring love that helped save him. This is Phil Collins as you’ve always known him, but also as you’ve never heard him before. Phil Collins is now 67 and is an English drummer, singer, songwriter, record producer and actor. In addition to being a solo artist, he was the drummer and singer of Genesis. I was a fan of Phil Collins and Genesis in the 1980s so thought his memoir would be an interesting book ... and it was. This is his story, starting with his childhood as an actor. 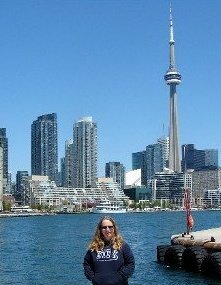 He became interested in playing the drums and played in some local bands. His break came when he became the drummer for Genesis. When lead singer, Peter Gabriel, left the band, Collins stepped out from behind the drummers and became their lead singer. Over the years, the band would take a break from each other and do solo projects before getting back together to record and tour. Collins has been married and divorce three times and has five children. As of the writing of this book, he was back living together with his third ex-wife. I liked this book and found it interesting. He's not a saint and this he admits. He details his childhood, his career, his relationships with other singers, his marriages, his children, his addictions and his ailments. I appreciated his sense of humour and honesty. As a head's up, there is swearing. If you're a fan, you'll like it as you learn a lot about Collins. If you're not a fan, it's interesting to get the background scoop on the life of a successful singer.